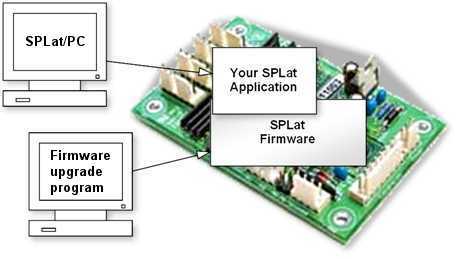 SPLat provide free firmware updates for current controllers and some legacy controllers too. Sometimes an update is for a bug fix, but mostly they are to provide new functionality. It is easy to update the firmware in your controller. There are two files you will need to download from this page to make the magic happen. You will need the reFlasher software for your PC and the latest firmware file for your controller. If you have previously installed the reFlash software for your PC check it's version number to determine if you need to update it. Make sure you still have your SPLat application handy as uploading firmware will erase the existing copy in the controller. Make sure you have SPLat/PC installed and ready to to re-upload your application. 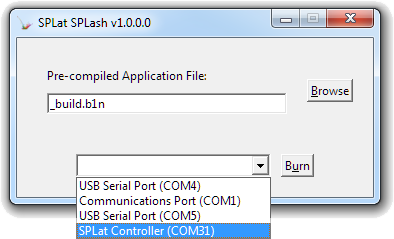 Finding what firmware version is in your controller can be done with SPLat/PC. Connect SPLat/PC to your controller and click "Stop". 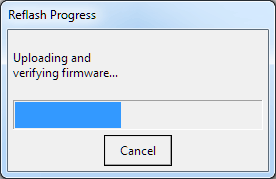 The firmware version number is displayed in the title bar. Download this firmware file for your controller. More information about the upgrade process can be found in the Knowledge Base. Download then run SPLat reFlash on your PC. This tool will upload the firmware to your SPLat controller. You will need a serial port or USB to serial adaptor and may also need a PC232 programming cable. The first time you run reFlash, you will need to do so as the Administrator, otherwise you will see an error about HIRESTIMER.OCX not being registered. After you've done this once, you can run it normally in future. Download then install the STMicro DFU "demo" making sure you unstall any old version first. This tool will upload the firmware to your SPLat controller. You will need a USB Type-A to Mini-B cable. Tick the boxes as shown, the click Choose and select the controller firmware file you downloaded above. 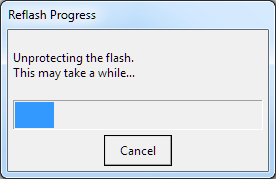 If you see this popup below, click Yes then wait about 30 seconds. 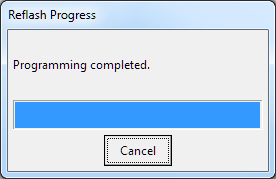 Sadly there's a bug in the downloader and it will crash if you don't wait for a bit. If you hear the USB boing bong sound, you're good to proceed to the next step. All done. Remove the jumper and USB cable, then power cycle your controller. You'll need to reinstall your SPLat application. Download this firmware file for your controller. No special program is required to update the firmware. Open the HMI "System Firmware" folder that is in Computer | HMI430 | System Firmware. Extract the "hmi430.srec" file from the zip file you downloaded and drag it into the "System Firmware" drive. Wait about 60 seconds for the update to complete. Download then run SPLash. It won't install anything but will simply run from the current directory. This tool will upload the firmware to your SPLat controller. You will need a USB-TTLSerial cable. Either Browser or drag&n drop a .hex or .s19 file onto the SPLash window. Install the PGM link on your controller, connect the TTL communications cable, then apply power and connect it to your PC. All done. Remove the jumper and power cycle your controller. You'll need to reinstall your SPLat application.